Welcome to the Wright State University Graduate School. Our 80+ master's programs and eight doctoral programs embody Wright State's spirit of innovation through cutting-edge research, outstanding faculty and educational opportunities, and rich connections to the world around us. Our goal is to transform our students and the communities in which they live through top-quality advanced education. We invite you to explore our website, peruse our many graduate programs, send us questions or feedback, or start your application process. 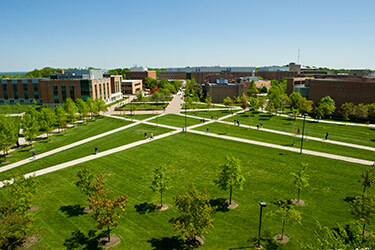 Wright State University is home to over 2,800 graduate students. 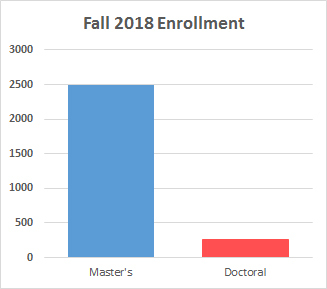 During the 2017-18 academic year, the Graduate School conferred 1,139 master’s and 66 doctoral degrees. Our diverse student population included over 485 international students from over 30 countries.